Lucifer knows what the audience wants and much like the Devil himself is enjoying teasing us with what we want by keeping it just out of reach. This episode was terrific and hit all the right points. The ending was evil, but I mean that as a compliment. I hate the fact that they picked that exact moment to end the episode, but I also know that in no universe will they kill off Chloe. The bigger question left by that cliffhanger is the identity of who will save her. 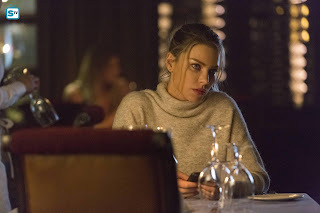 This episode also finally started to set into motion “Charlotte’s” plan to bring her family back together. Her sinister plans put a lot of people in very precarious positions. One can’t really blame Amenadiel for trying to help his mom adjust to living life on Earth. After all, as he reminded Maze, he made a lot of mistakes when he first came to Earth. The difference between him and her is that he appears to have a conscious while I’m becoming more and more convinced that she is seriously lacking any sense of remorse. She has absolutely no value for human life and will gladly kill any of them that get in her way. I have no doubt that she loves her children, the emotions she shows around them are real, but everything else is clearly starting to look like a great big act. Outside of her children no other life in existence matters and she’s willing to even harm those they care about in order to get what she wants. 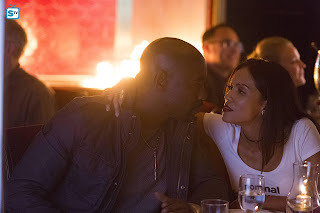 I wonder if Amenadiel will be as understanding of his mom if she starts to go after Maze like she has the humans in Lucifer’s life. Unlike them, Maze can hold her own against a goddess, but knowing that “Charlotte” has some abilities beyond what her human body should possess does cause some worry. She may pretend to be able to cohabitate on Earth with Maze, but the second she gets an opening I have no doubt that she’ll go after her full force. I mean, it is in part to the fling Amenadiel had with her that his father banished him to Earth without his abilities. Given her protective nature over her children, I’m sure she’ll make it a point to try and remove that temptation from his life. While Amenadiel and even Lucifer live in extreme denial Maze isn’t as oblivious as them and sees right through their mom. She knew better than to let “Charlotte” run around without supervision and took on the role of a super stalker. Given what their mom was ultimately up to it was a smart decision on her part. 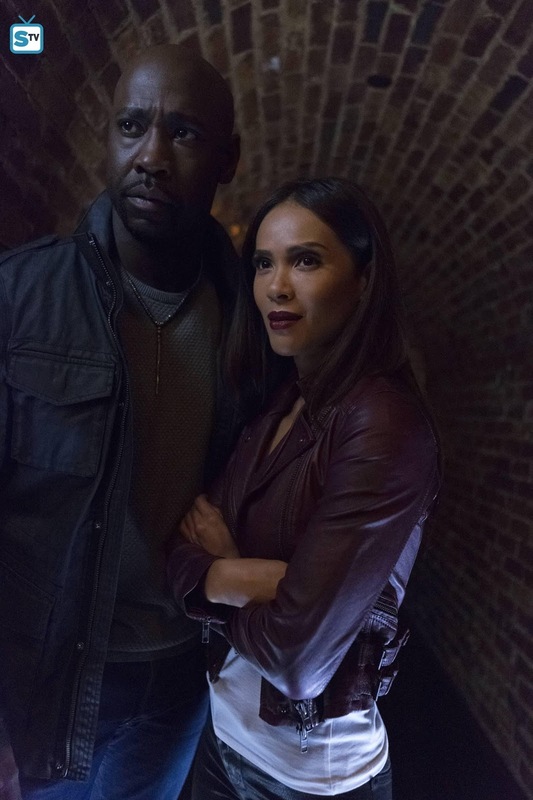 I didn’t expect her to end up teaming up with Amenadiel though, especially of her own free will. She made it pretty clear last week that she was still annoyed at both brothers, but I guess since they were both doing the same thing it made sense for them to hang out while stalking. It did make for some of my favorite scenes in the episode. Lesley-Ann Brandt has comedic timing that always hits perfectly. The lines are good, but delivered by anyone else I don’t think they’d have the same punch as she can bring to them, and DB Woodside delivered comic gold with his facial expressions. I don’t really want Maze and Amenadiel back together, at least not right now, but I also have to admit to how much I enjoy Brandt and Woodside working together. They are perfect scene partners and everything about their stuff at the restaurant was complete and utter brilliance. Though, I must admit, that I was surprised by who “Charlotte” ultimately met at the bar. Poor Dan just can’t catch a break. Last week he was controlled by a supernatural soul-sucking blade and this week he was seduced by a vengeful goddess. I get that he’s struggling to get back out into the dating scene and he’s not entirely over Chloe yet, but he made a really bad decision for whom to go on a first date with. I can’t wait to find out how Lucifer will handle finding out that his mom slept with Dan. That is sure to cause him as many nightmares as it will Amenadiel. This now puts him and Chloe in a dangerous spot because “Charlotte” now has easy access to them both. While Chloe being harmed will cause Lucifer the most anguish I still don’t think he’d take kindly to his mom causing harm to any of his human friends, even Dan. That definitely includes Dr. Linda, whom I’m sure “Charlotte” will take an interest in at some point. Perhaps, though, she’ll eventually come to her senses and actually seek out Linda for some therapy that she so clearly needs. I would love to see that happen even though I really don’t trust her being alone with anyone especially Linda. While Chloe holds the mass majority of Lucifer’s angelic heart, Linda has carved out her own special little spot in it too. After all, she was the first human he trusted his secret with. Now that she is back in full working order he’d be wise to start listening to her advice again because she nailed it when she told him that the reason he’d stopped looking for a place to belong is because he’d found it when he met Chloe. She’s spent enough time with them both to know how much they each mean to one another. I’m hoping that she’ll play a pivotal part in them eventually getting together. I can see Lucifer bringing Chloe to Linda’s office to tell her something important then he’d get her there and reveal his true face to her. He’d do that just to have that little extra element of support that Linda provides him with. I’m still quite surprised that given how much Linda means to him that he would introduce her to his mom knowing her dislike for humans. All Lucifer did in that moment was give his mom yet another person to add to her list of humans to harm to get her son to come home. I must comment on the insane height difference between Tricia Helfer and Rachael Harris because that really helped sell the awe of the moment. Linda was meeting this larger than life goddess, having to look up at her, yet, in the end, Linda held her ground and refused to divulge any information from the sessions she’s had with Lucifer. Unfortunately, the way she smiled when Lucifer and Chloe were dancing together did give that little bit away, but I think his mom was already onto the fact that Chloe was an important human to her son. 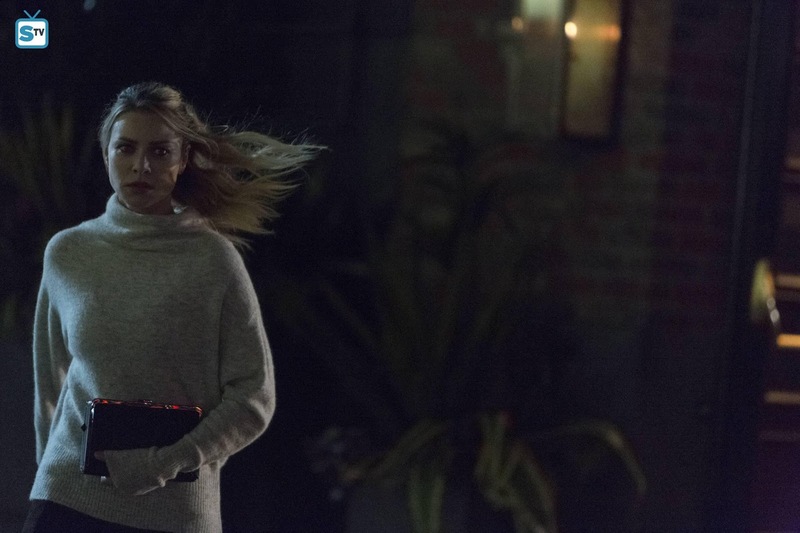 As I stated at the start, we know “Charlotte” won’t succeed in killing Chloe. The nature of the story just won’t permit that, so then comes the question of who will be the one to save her. Will Maze, concerned for her friend, have been keeping an eye on her and spots “Charlotte” in time to stop her? 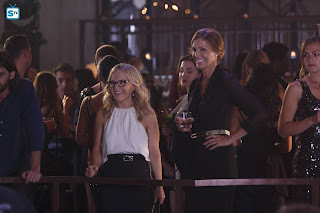 Will Lucifer have a last second change of heart and go to try and meet Chloe at the restaurant and instead find his mom about to try to kill her? Will Amenadiel, uncertain of his mom after her threat, be keeping an eye on her and is able to pull Chloe to safety? It would be ironic if he’s the one to save her and gets hurt in her place now that would certainly mess with his mom. Perhaps it would be a wake-up call, but I doubt it. She’s likely to keep targeting Chloe because she has to find some way to break the bond Lucifer has with her in order to have any hope of even remotely convincing him to come home. When Lucifer finds out what she is up to I can’t imagine he’ll be as lenient on her as he has been recently. She can mess with humans, even kill a few of them, and he’ll give her a pass, but everyone knows Chloe is off limits. 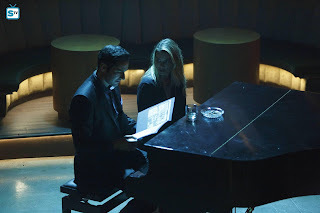 This was a great episode for Chloe and Lucifer. Throughout the season so far these two have been incredibly supportive of each other. Each has had a lot of emotional trauma yet no matter how hard they each try to go it alone the other always shows up to help. 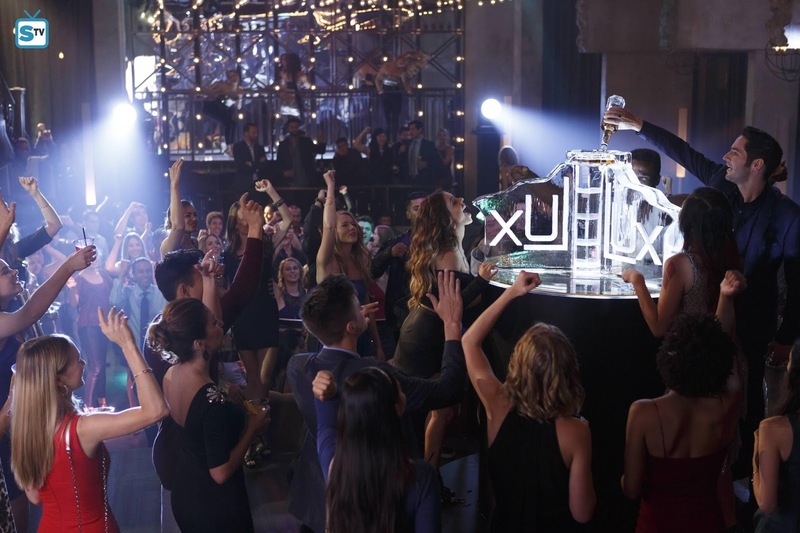 Chloe did it in this episode as she helped Lucifer’s last night of partying go off without interruption. She did it again when she managed to use his LUX history lesson to save the club. No matter how much they each try to deny it they are exactly what the other needs in their life. Everyone else around them can see it except them, but that tends to be how it is in real life sometimes, so it was realistic. I just hope that Chloe can get over the fact that he invited her out to dinner then stood her up. 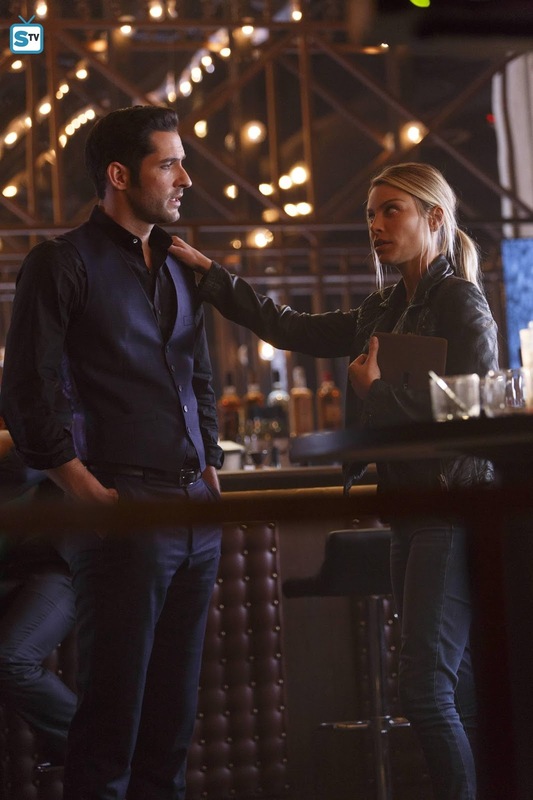 That’s going to take some creative maneuvering for Lucifer to work past since he was so close to taking those first steps to starting something with her and blew the chance. 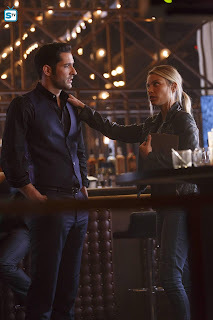 They had some truly amazing moments together and were on the fast track to a first date until Lucifer started to over think things. Their dance at LUX was so great and a nice moment of escape for them, after all, they’ve both been through in the past few weeks. The fact that he was so freaked out by what Linda said to him goes to prove how much Chloe truly means to him. She is his world and she is what makes Earth a place he doesn’t want to leave. All the other stuff I think he could be convinced to leave behind, but not Chloe, he could never leave Earth without her. She’s the biggest reason, but not the only one, he has a genuine interest in humanity. For all, he says about his father they do have a few things in common, like their interest and love for humans. I think that’s one of the biggest reasons his mom doesn’t want to leave him behind on Earth because she doesn’t want to give her ex-husband any further validation for his creations. This whole dynamic is going to surely cause a lot of tension in the coming episodes and will likely leave us all impatiently waiting for the show to return after its extra long winter break that is rapidly approaching. The case of the week was interesting, especially since it hit so close to home for Lucifer. I love that so many cases this season have had direct ties to either Lucifer or Chloe because that element brings a little something extra to those cases. It helps to tie everything together in a more coherent way than the random cases that occurred last season. There have been a few cases that just didn’t really interest me this season, but they didn’t really take anything away from the episode. This one brought out so many wonderful feelings for Lucifer and showcased his love for his Earthly home that it allowed this case to feel like a very organic part of the episode. Plus, it also finally explained how Lucifer came to own LUX, and leave it up to him to make a formal contract on a napkin using lipstick, that is such a Lucifer thing to do. We have a couple episodes left before the long winter break kicks in, so buckle up because I predict they’ll be quite explosive and given “Charlotte’s” recent access to explosive devices that might be a very literal thing. I keep waiting for Lucifer to deliver a bad episode or even a mediocre one, but so far they are holding onto their perfect score. I don’t know what happened over the summer, but it’s like the writers were taking notes on everything that was just a little off last season and they vowed to not make any of those mistakes again. Whatever prompted this exceptional season I’m grateful for it because each episode is a joy to watch. Be sure to tune in for the next episode of Lucifer next Monday, November 28th at 9/8C on FOX. Hit the comments with your thoughts about this episode. Who do you think will save Chloe? Can Lucifer and Chloe work out things after he stood her up?